The most unpopular teacher during my high school days was an elderly woman, we’ll call her Mrs. Green. Mrs Green taught literature and every couple of weeks she assigned a paper about a poem or short story or about one of her favorite writers. The thing about these essays was that after we handed them in, Mrs Green would read them, give us her feedback and we would have to keep revising and revising them until she felt we did the best job we could. She wasn’t looking for a perfect paper. She was looking for us to discover what we were capable of. She wanted us to experience what it feels like to give an assignment all you’ve got. 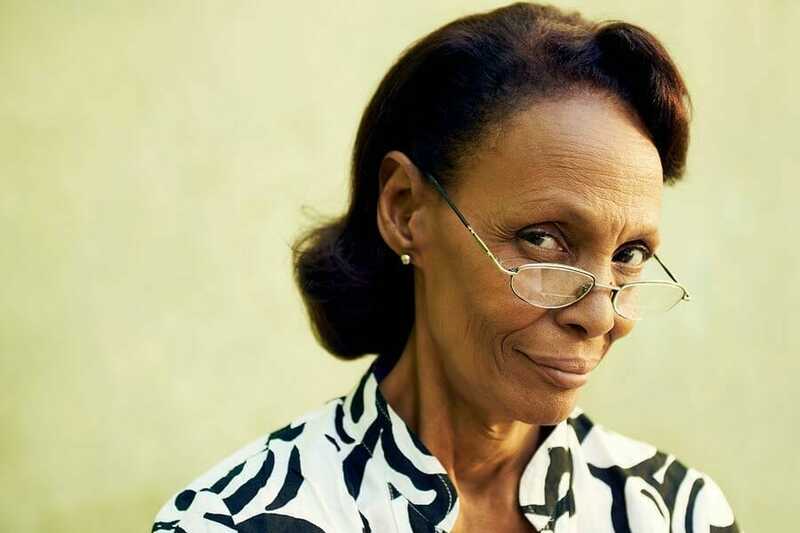 Some of my classmates hated Mrs Green, and there were kids who came up with the wildest schemes to avoid being in her class. But by the end of the year the most unlikely slackers handed in some pretty spectacular work. And by graduation time, all of us knew what a gift Mrs Green has given to each of her students, simply because she dared to care more about being a good teacher than about being popular. I guess we can either receive Life as an annoying old lady that keeps asking us for homework redo’s, or we can choose to see this mystery ride called Human Life , as a seasoned kickass teacher who cares more about –guiding us toward living our greatness; discovering who we could become–than about being popular. Heres a question: if you were to receive Life as a–not always popular, but nonetheless a loving and wise teacher giving you some feedback, asking for a few revisions as you move closer and closer toward completing your preparation for the Mommy assignment, what is one small or large revision she’d beasking for, at this juncture of your journey? And which Fertile Heart tools could be helpful to you in attending to those revisions? Thankyou for the work in the last phone circle. i have a photo of myself, aged 9, on kitchen window, i study this photo most days and it makes me smile. It helps me focus on being compassionate towards myself. There is still a discomfort and a distrust when i see the image of myself as a little girl being picked up by my mum. It feels like i have to watch and all the time afraid my mom is goin to disappear. It is not fun, and is difficult to see that this care is constant. I see clearly how this is reflected in my life now. I am trying to visualize this image as a little girl and look after her, though my mind drifts into the stories and i consciously have to stop analysing. I also said on the phone that something always comes up and i get pulled off my own path and life gets overwhelming….last week there was a family crisis that i got pulled into, .Interestingly, I am also doing the Healthy Lining Imagery. The initial part asks me to listen to the cells of my womb and ovaries and listen if they have anything to tell me – I heard ‘its not about Lilly’, that is my sister. I felt that i was being told that my life is important now and not anybody else’s. This was not a selfish thought – it brings to my mind a friend who says ‘looking after self’ is not selfish. It seems my body knows how to look after me, if i listen! I will continue with the Imagery, i feel like an onion… I am being peeled back to my deepest parts! Dear Julia and Visionary Mamas-to-Be. I am really looking forward to hearing you all tonight. I couldn’t join the last call and missed hearing your voices and learning from you. The work you did together sounds beautiful. My Mrs Green is turning out to be a strictly compassionate teacher, making me face the things that have held me back in every area of my life, helping me to bring them close and transform the pain into hope and joy. We have been planning to do a cycle of IVF in June for a while. This cycle my period was 2 days late so I had started to hope that we were pregnant. So when my period started this morning I felt pretty devastated and then I felt terrified about starting IVF. Terrified that the drugs would cause a life-threatening illness (I’ve never had this come up before). I wasn’t sure if this voice was a visionary (protection) or an orphan so I listened to how my body felt and realized that it’s an orphan. I remembered Julia, on one of the first circles I joined, encouraging us to trust things because they feel right on a body level. So practicing Body Truth has helped me to feel my truth with my body a little more. This orphan tells me that in order to have a child I have to sacrifice my life. It’s a story I learned during my childhood. But it’s not my story. I can live and so can my child. So the IVF journey is already exposing more deep-rooted orphan feelings, and now that I understand where it is coming from my fear has subsided. My first scan is tomorrow and I start the protocol then too and I’m looking forward to using the tools, as well as food to support myself on this part of my journey. My husband and I have been doing quite a bit of imagery together which has been wonderfully nourishing. His mother is very ill at the moment and working with the imagery together has kept both of us very grounded, open and loving towards each other at a really tough time. And therefore more able to support her and the rest of the family without giving ourselves away. Also on my own for the past month I’ve been practising Mirror of Truth, Unconditional Gratitude, Supporting Ovulation, Healing the Heart, Nine Hearts and the First nursery from imagery 2 disc 2. And White Flower from Imagery 1 as well as various others on a more ad-hoc basis. I really love the imagery now after finding it so tough in the beginning. I am still doing Cry For Justice and rock the baby from Body Truth regularly and whatever else feels right at the time. This is a very, very good question and I’ve often asked myself what’s good about all this that I’m not getting – what’s the purpose of it all? My Mrs Green has forced me to address the parts of me I’ve left behind or abandoned. She demands a ‘realness’of me that I often find difficult. I realize since I’ve started doing OVUM work that I’ve been drifting along in life, distracting myself with travelling etc. but it doesn’t work anymore – I’m no longer running away from what I truly long for. In the last couple of months, I’ve been rethinking career choices, where I live and we’re now planning on moving – my husband gets to stay! I’ve been working with ‘Fork in the road’, ‘Doorway to the expert within’ and ‘Mirror of truth’. It’s amazing how doing this work – which seems so subtle – allows us to get in touch with our real selves. Bxx: I love this “no longer running away from what I truly long for” Good for you! Look forward to talking with everyone tomorrow. I agree…you said it so beautifully, Beate. I was very sorry nott to have been able to attend the last teleconference. I missed you all. I wanted to post about a beautiful dream that I had following the previous conference – May 13th. I dreamt that myself and my husband were walking through a beautiful valley. The vallley was very green and had beautiful young lilac trees that were in flower. I loved these trees and flowers as a child and they hold a very special place for me in memories. In the dream I was thinking or saying as we walkd and looked around us , “wow it is so fertile, it is beautiful”. Julia I would very much like to work on the chess master orphan in the next call if possible. I am sometimes very angry with Mrs Green and desperatley want to figure out with my mind what she wants me to learn. I have been working with my bhusband on Sacred Choices from Fertile Heart Imagery One, and inspired by your comments I think I will do Lifting the Burden, from Imagery 2. Dearest Katherine, we missed you too! No, we don’t have to figure it out. We have to live our way into the next step. That’s what the I.B.O.W. practice is about, birthing the Katherine, Julia, Su… that spontaneously takes a step from her Visionary Self. And then we’re called to birth the next one and the next. Growth, Blossoming. Not ambition. Not grasping, not mind games, conception, gestation, labor pain, contractions, birth. It’s April 27, 2015 Happened to pick this comment to re-read today. Katherine is a happy Mom of a little girl conceived the old fashioned way. I have a beautiful picture of her, maybe it’s time to share that story in a newsletter. I just wanted to say that i wanted to stand up and hug each girl who worked through imageries with Julia on Monday night past – Kasia and Esther were so honest and did heart felt work with their orphans! I was sending positive energy and trying to hold a space as they worked. I didn’t speak, but i got so much out of the circle. I worked through ‘Lifting the Burden’ as Esther was doing it and actually visualisised myself literally flattened below concrete blocks – the only part visible was my face. And then my Ultimate Mum and another helper lifted all the blocks. The blocks represent my work, this has been an ongoing issue – i constantly feel overwhelmed by work and I try to fit my life around it – instead of vice versa. The Ultimate Mum said ‘its ok to have some fun’. What a relief! This linked in with the other aspect of the call – where Julia talked about money – I have an enormous money orphan, because I am self employed and run my own business. Little by little though i am coming away from this worry and starting to see that life is for having fun and work should not be such a priority. Thankyou Julia for the work and looking forward to being in contact and the next circle. to hearing more on the 3rd. I read what Emma wrote and connected with her statement fully. I have felt anxious the past few days so yesterday morning I did the guided meditation on Fertile heart body truth cd1 and also started working with unconditional gratitude on Fertile heart Body Truth Disc 1. Reminded me to just breath! It’s all good Fertile Heart Imagery 2 disc 2. Also brought me a sense of peace! Look forward to our circle tonight! Oh, Mrs. Green can be soooo annoying – makes me do things I do not want to, make me realize things about myself I don’t want to know. I feel that right now this tough teacher is asking me to be more patient. To let go of the result. Deal with disappointment. A very difficult task. And a very basic one. I’m working with White Flower and Field of Surrender Imagery from Fertile Heart Imagery CD1, as well as with Body Truth Defend and Receive as well as Cry for Justice. Reading all the Fertile Mamas stories about struggles and growth make me feel that I can do it, I can work and see the change happen. Looking forward to tonight’s call. My Mrs. Green is obviously askingfor me to continue to work on my relationships with my immediate family. I will make progress only to find myself wanting to let things then remain at whatever new level I’ve achieved. Obviously, my life as a teacher wants me to continue the work. I also have to admit that I find it difficult at times to continue to grow and heal a relationship when the other person’s orphans so obviously don’t want the relationship to change. Historically, I found that an open-ended body truth session and the field of creation imagery were my go-to tools. Recently, I’ve been using the garden of truth while envisioning various family members. I had a teacher like Mrs. Green in middle school! She was such a tough teacher — she didn’t tolerate any monkey business and gave TONS of homework. Most of the class moaned and groaned, but I remember that when it came time for my favorite subject, math, I felt excited by the challenge she presented us with day after day. The assignment life keeps giving me homework in is in my least favorite subjects (let’s say history and composition). I realize that I have an all or nothing attitude about a lot of things in my life, especially in my roles as a mother and wife. If I can’t do things 100%, I have a hard time motivating myself to do them. When I don’t motivate myself to do them, I beat myself up about it. I feel that the IBOW tool that would help me with this is Body Truth. It helps me focus inward and be okay with giving something my best shot, even though I probably won’t do it perfectly. Recently, I’ve felt that I’ve had a lot of Ms Green’s in my life. As Julia says, she is “seasoned” and guides us “towards discovering our spectacular gifts” Through the IBOW work, each week I feel like I’m stumbling upon a new teacher in the universe, leading me to open other doors and continue down the path. Some times an experience might push me through a gateway in one direction to explore further and some times, I’ll have huge specific insights via a teacher or experience. With the imaging, some times I’ll see a vision of myself as a mom and how I will be. In hindsight, many students saw Ms Green as a gift instead of a burden, just like Julia talks about w the fertility journey. Looking at it now, it’s amazing at the path it led me on, but I don’t think i was very grateful when an RE said not to try naturally for more than 3 months. Little did I know, that that was the phrase I needed to hear in order to discover Julia and the OVUM practice and explore my holy human loaf. I celebrated my bday this week in a quiet place on the coast of CA w my husband, and I thought a lot about the last few months and the work I’m doing. Wow! I look forward to talking w all of you tmrw. She would ask me not to panic when I face a difficulty but have faith. The Circle of Protection imagery could help me in that. Last night when I did 3 Frames Fertile Heart imagery (a variation of All of You All of Me from Fertile Heart Imagery Disc 2) my orphan (maybe she shouldn’t be called an orphan) was very content. The Ultimate Mom celebrated with her. By this morning, my overwhelmed orphan was taking over, interfering with sleep. The Ultimate Mom was trying to help her by lifting some of her burdens, but there’s still more work to do with her – more that needs to be done to help her. Dear Awesomely Fertile Visionary Mamas! As I read all these honest, insightful comments, I celebrate the possibility that is opening up for you through your courage to engage with the I.B.O.W. tools more consistently. The growth spurt that some of you are going through recently is energizing! As we engage with one another more directly what is becoming so beautifully apparent to me and hopefully to you, is this: in the 2, 3, 4, 5 years of trying to conceive and even after the workshop thereâ€™s been a huge, intense invisible battle going on inside so many of you. The Orphan that will do ANYTHING to NOT GET PREGNANT is coming into a higher and higher resolution. Thatâ€™s exciting! Canâ€™t wait to play the Ovum game on Monday! Everyone is doing fabulous work! I am working with Elbows First Fertile Heart Body Truth. That really seems to be appropriate for me right now. Last night I was dealing with the orphan who was feeling disappointed/let down I guess you would say. I have been doing all this work to help my child succeed (at least better) in school – she has been assessed with learning disabilities. Sometimes I feel like I do all this work and she just kind of does some and lets it drop when I feel a bit of extra effort might make the difference between passing and not. So I worked with this orphan using the 3 Frames Fertile Heart imagery (Imagery II – All of You All of Me variation). I tried to let this orphan say what she needed to say. The visionary person was doing OK, but I didn’t get a sense that the Ultimate Mom knew what to do to comfort the orphan, so at some point I just figured having the Ultimate Mom give her a hug would at least be helpful. Well one thing that came up strongly during my field of creation imagery exercise today was “To live my life and not my mom’s when she conceived me. To cut the cord and to realize the fact that the feelings she experienced pertained to her situation and her orphans and had nothing to do with my life”. Mrs. Green is asking me to follow this fact strongly without second thoughts, even if I have questions, she is asking me to fake it till I make it (in Julia’s terms) as she feels I am on the right path. I have no qualms about conception or pregnancy (no feelings of embarrassment) and feel that my womb is the most safest place for my baby , unlike how I must have felt at the time of my conception. I just have to keep practicing and strengthening these feelings. Still plan to continue with field of creation, till I am clear. the Mother Imagery on Monday took me to a story I was told by my mom about my personality as a child. Her example was when she stood in line for meat with me by her side and talked to the woman next in line, I was suddenly gone. Then she knew she could find me anywhere within a 50 meter radius. I had probably been testing her if she comes to get me. I still don’t understand why I would do that. When we were imagining a repaired version of the difficult moment, I was at a loss, and the image of my mom reuniting with me still escapes me. So my assignment from Mrs Greene is rather a sculpting an image of a reunion with my mother. When I did the Womb with a View body truth sequence, it became clear that my mom did love me, and we were never as close as then. It made me cry. Since then, when I repeat this exercise, I remembered that my dad told me (she never talked about her pregnancy, but she keeps saying how easy my birth was) that when my older brother was born the doctors told my mom she should avoid future pregnancies since another labour (and his was hard) would put her in a wheelchair. But it didn’t. So now I am reluctant to do the Womb with a View because I am afraid I would feel how scared she must have been when she was pregnant with me. So this is probably a very deep rooted fear that was not mine originally, but that i took on from her. As I collect courage to revisit the Womb with a View, I have been doing the Cry for Justice and it’s been good. Firstly, my Mrs Green was my Maths teacher in school;a hard task master, small stature woman with wiry ringlets hair, not popular because of her high standards and had this reputation throughout the entire school. Likewise though, we all ended up with really good marks, but also, what strikes me now is the work and the focus that we put in to get to that really successful mark. We respected her and grew to look forward to her lessons. I have not welcomed these current lessons – some are very hard but I realise that that is what is required for this journey now – commitment, focus and respect for this current teacher – I get it very strongly now. My commitment has been renewed to this OVUM work. I thank you for guiding me with the ‘frozen’ feeling. I am still unsure of what is being taught to me – at this juncture i feel i need to take the time to let this feeling surface and see where it leads me. I have been doing a lot of thinking about my childhood and my relationship with my mother. My father was a very strong character, my mother quieter, therefore it is new to look at that relationship. I am not using a specific imagery but visualizing myself as literally frozen and bit by bit melting and softening my body. I am also trying to be in more contact with people – not just on this forum but with friends – i only speak to my husband and one sister about where I am. thanks for introducing Mrs. Green on the blog. Mrs. Green would ask me to give continuous attention and love to this longing for a child and to do what I do with other longings in my life: to check in with my heart every day for inspired action. I still have not quite figured out why I am so good at getting what I desire or going where I want to go in almost all other areas of my life, and what is keeping me from following this baby longing as fiercely as I have done with creating and finding a fulfilling job and perfect home and amazing husband. 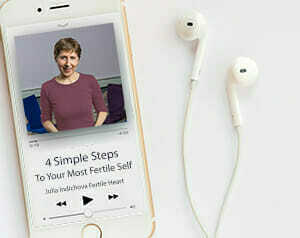 The fertile heart tools are so helpful there, because when I do imagery exercises daily, that practice helps me hold a space in my life to take the next steps intoâ€¦ and when I don’t do them, it’s a clear flag, a call that I can hear that I have let life’s distractions get in the way once more. In fact, I was just admitting to myself at lunch today that I have not been doing my imagery lately. So I will attempt to heed Mrs. Green’s advice this week and return to the daily practice. I want to do the imagery exercise called Busy being born from the Fertile Heart Imager CD every day for the next seven days. It feels good to be in such awesome committed company on this journey. Thanks wonderful fertile mamas! I think Mrs. Green would instruct me to worry less and live more. Focus more on the present, and less on what should have been, but wasn’t. During the Mother Imagery on Monday, I saw how compassionate and nurturing my mother was when I was a child. I replayed an experience in my head that I had forgotten. I need to use the tools I have within me to be more compassionate and nurturing to others. I am like that with my pets, but sometimes I do not let that side of me come out to others. I really need to work on that. I need to deal with my orphans and work out why I have withdrawn so much lately. Maybe Field of Creation, or my favorite New Beginning…. I think Mrs. Green is asking me two things to stand up for myself and believe in the choices I make no matter what orphan, friend, relative, or RE advises. I have taken a long time to finally stand up for myself in relation to my family. I just recently was able to state what my boundaries need to be with mom, and after telling her I did not worry if I upset her or made her feel bad. I just felt like wow that felt awesome! She gave me a very receptive answer and was open to what I feel I needed, so that was actually a good outcome, well see if it works! Now I just need to do this with all my relationships. I have let people just walk all over me my whole life and by golly I am sick of it. I have been the friend that would drop anything for others, but never get this in return. In relation to personal decisions, I am still working with this. I tend to make a choice based on what I feel is truly right, but then my orphans of doubt and fear get jumbled in and I find myself playing jackal and hide (ahhhhh). I am currently working with Fertile Heart Body Truth disc 1 Out of the Trap and Gates of Love and Fullfilment on Fertile Heart Imagery Disc 2. Hi, T. standing up for ourselves can be scary, but the prospect of not standing up for ourselves might be even scarier! I believe Mrs. Green is asking me to care for myself more by using the tools (right now Fertile Heart 3 frames imagery – All of Me All of You Imagery Disc 2) so I can parent my child better. My child is going through many tumultuous challenges – boy, does she have a Mrs. Green life teacher! And I could improve by taking that little extra time to care for myself and my orphans before jumping on the roller coaster with her. Thank you for this post, Julia! Funny enough, I just realized today that my inner Mrs. Green is asking me to make one important adjustment – to let go of being liked (i.e. let go of needing to be popular). The desire to be liked has been really holding me back! Mrs. Green’s guidance is exactly what I need because she is the EXAMPLE of who I am becoming (slowly, but surely!). Today, before I negotiated a contract with someone I didn’t know, I set an intention to negotiate without caring if the person liked me or not. The result? I earned their respect! The fertile heart tools that I have been using lately have helped me with this transition. Primarily, the body truth tool My Mother, Not Myself and the Fertile Heart Imagery CD 2 Jailbreak. Thank you, Julia! I love this work!! Excellent blog Julia!!! it is so very true about how a person perceives about a strict teacher in every aspect of our lives ! I have never treated life as a teacher. Esp after being in this infertility journey, I always found life as a “punishment” and never understood what did I do in this life or in my earlier life that I am being punished so hard. Its only after I got introduced to fertile heart that “treating life as a teacher” or for that matter of fact viewing every small thing in a different angle and trying to decode the feelings, acknowledging the toughest of the feelings openly, made me see life in a different perspective. Thinking about the fact that infertility is an opportunity an year back was a very strange and the most weirdest thought to me. This is slowly sinking in now and started to make sense. Also I want to mention that, as in any field, even in this case, practice is what makes a women perfect ! The more we get into this practice, the more we realize and get out of it. I have particularly seen what an amazing impact I had after dedicated practice last year, I could feel a gushing force of energy within me. But after failed IVF, I was back into depression and shut myself from all sides. I am glad I am back again with some motivation. I hope to maintain this motivation. I have been doing the field of creation and gathering images of my mom and myself from the time of my conception. The strongest feelings I could sense from this exercise are that “conception and pregnancy are embarrassment or shame & womb is definitely not a safe place, so why even encourage such thoughts or allow the pregnancy to even ever happen and hurt another life? ” One of the revisions I take away from my practice is to acknowledge these orphan related thoughts and with compassion explain the truth and the situation to the orphans and make them look at the situation in a visionary manner. This looks like might take a while, as its difficult to stir these strong orphans who have been rooted from my birth. To get the confidence of my orphans and to take them on to the visionary path, I plan to work on “The grand hall of forgiveness imagery exercise from Disc2, CD1” from Sat or Sun onwards. Till then I will still follow field of creation to see what else might come up. Also I could add a body truth to this, maybe the orphans.